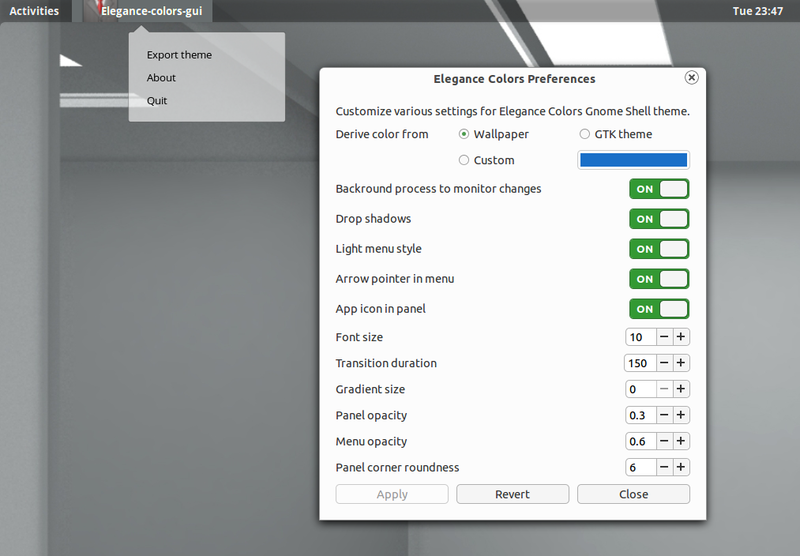 Besides the option to export a customized theme, Elegance Colors 0.3 also brings more customization options: set gradient size, transition duration and box shadow. 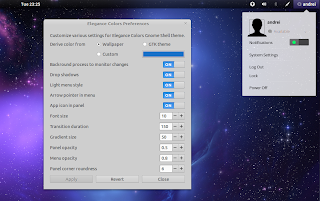 Also, in the new version, theme changes are applied instantly. 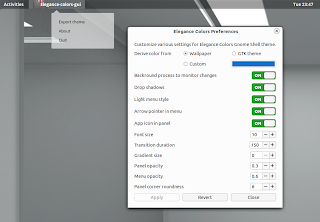 To use the new "Export theme" option, open Elegance Colors Preferences and from the GMenu, select Export theme. 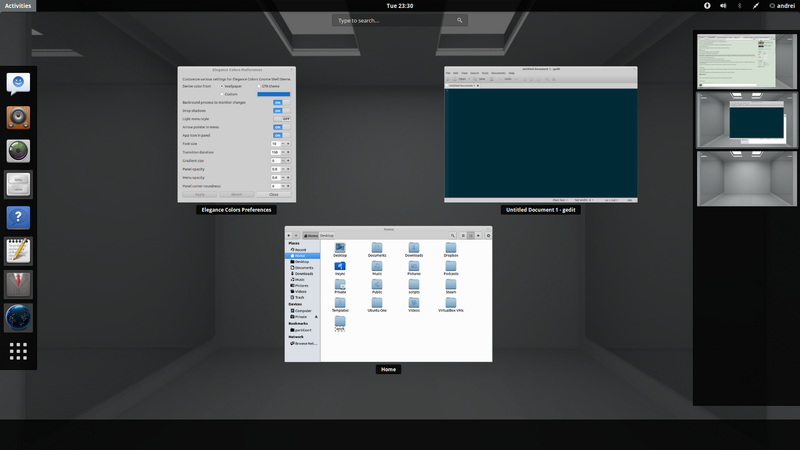 The theme will be exported to a .zip file - don't install it using GNOME Tweak Tool because it will be installed to a location where it doesn't work. Simply extract it to ~/.themes and you'll have your new, working custom theme. 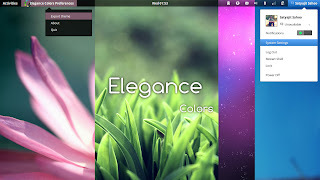 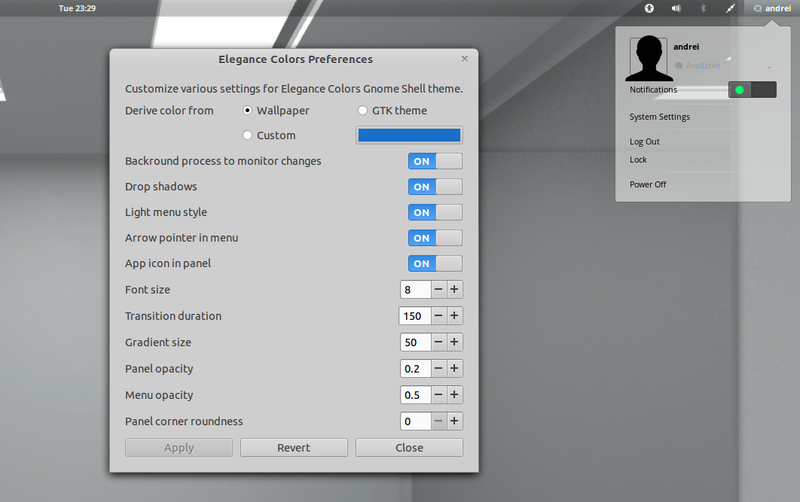 The PPA has Elegance Colors for Ubuntu 12.04 as well, but it's an older version. 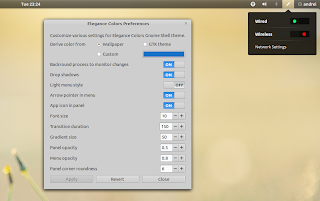 For other Linux distributions, you can download GNOME Shell Elegance Colors theme from DeviantArt. You can also simply log out and log back in. And finally, set the new theme via GNOME Tweak Tool > Theme > Shell theme.